Crossing the Canadian border with a criminal past is difficult. Even minor offenses, including reckless things done long in the past, can get you stopped by the authorities. Travelers who were merely stopping in Canada to connect to another flight have found themselves deported due to their arrest record. 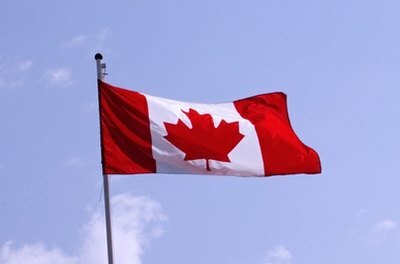 Don't try to enter Canada if you have a record without first applying for rehabilitation, a document that will release your prohibition from Canada. Otherwise, you may be headed back home. Complete the application if you have deemed yourself eligible. The application can be found by clicking the second link in the CIC website. (References 1) A set of instructions is also available at that site. You'll need to provide such things as your full name, date of birth, date of the offense, nature of the offense and the circumstances surrounding it, and what the sentencing was. Complete the application, but check off the box marked "for information only" if you aren't eligible for rehabilitation, but you would like to apply for a temporary visa. The immigration officer will make a determination based upon your case. Pay the fees associated with filing the application. The application for rehabilitation has a fee ranging from $200 to $1000, depending upon the nature and seriousness of the offense. The application for a temporary visa costs $75 for a single visit per person, not to exceed $400 in the case of a family traveling together. Julia, Brooke. "How to Get Into Canada With a Criminal Record." , https://legalbeagle.com/6564860-canada-criminal-record.html. Accessed 22 April 2019. What Is a Class 3 Misdemeanor in Arizona?